Teachers; Training of; United States. The second edition of Your Teacher Training Companion is your one-stop-shop for the essential knowledge and skills you need to pass your course with confidence. Guiding you through your time in school and your studies, it will ensure you develop both the practical teaching skills and academic skills required to become a successful teacher. Written in an accessible, no-nonsense style, it succinctly covers the most important aspects of becoming a teacher, showing you how to balance the competing demands of teaching in school, your course and social life. It is illustrated throughout with the case study of a fellow trainee teacher, focusing on developing best practice and ways in which you can pass on key skills to your learners. Designed for the very busy trainee on all routes to qualified teacher status, Your Teacher Training Companion, 2ed offers you the essential knowledge and skills you need to get the most out of your time with pupils, improve your study skills, successfully achieve qualified teacher statues and manage your early career as an NQT. 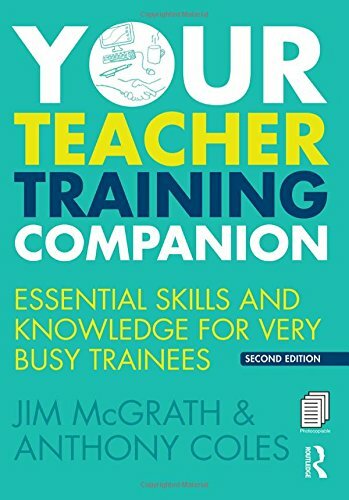 About: The second edition of Your Teacher Training Companion is your one-stop-shop for the essential knowledge and skills you need to pass your course with confidence. With Michael Ogle (other contributor), Frank Chambers (other contributor) | from Routledge (October 1, 2002); titled "Climate Change: Critical Concepts in the Environment and Physical Geography"
About: A collection of articles discuss climatic change and the effects on the environment, covering such topics as global warming, natural forces in climatic change, and what the future climate will be like.